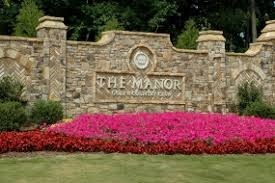 Welcome home to The Manor Golf and Country Club! 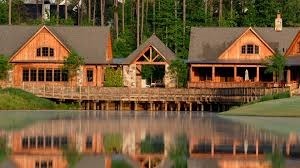 This prestigious, gated community sits 40 miles north of Atlanta in Alpharetta, GA. The Manor is one of the most beautiful communities I have ever seen, with gorgeous, sprawling homes, manicured lawns, and an impressive clubhouse. The clubhouse offers both fine dining and family dining, as well as both men’s and women’s locker rooms. The adjoining Sports Center features an indoor heated pool and hot tub. Sixteen tennis courts can be found at the Manor, as well as a junior Olympic pool and kid’s pool area. And let’s not forget about the golf!! 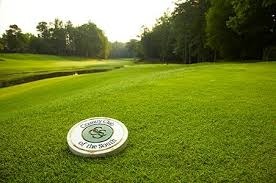 The Tom Watson designed golf course rolls through the country club with 7,200 yards and 18 holes. Driving range included! • Home prices start around $800,000 and go up to $2.5M+. There are currently 16 homes for sale. • There are 2 homes under contract. • There have been 13 homes sell in the last 12 months, ranging in price from $750,000 to $2.2M.